There has been an increasing amount of research documenting the impact poverty has on people’s psychology framework: that when some of our “cognitive bandwidth” is taken up by financial stress, less is left to devote to other decisions. I’ve shared much of that research at The Best Resources Showing Social Emotional Learning Isn’t Enough. 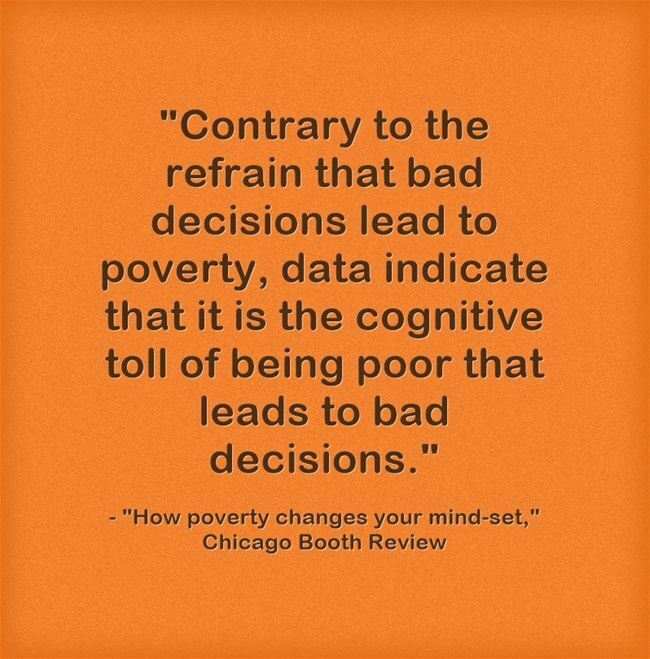 How poverty changes your mind-set shares new research documenting poverty’s effect on people’s thinking. Perhaps, eventually, this kind of research will move some people away from the “blaming the victim” mentality that seems to drive much of the public discussion about poverty in the U.S.